Posted on May 9, 2017 by RiverRidge Chiropractic, P.A. Finally Spring is in the air! The much-loved season of warmer temperatures and sunnier days has arrived. Spring is also a time for a fresh, clean start to a promising year. Many of us go through our houses and organize, clean and toss out the old unused clothes and items to make room for fresh new ones. In the midst of cleaning up your home, consider too cleaning up your diet! The term “clean” foods or eating “clean” has made its way into our mainstream society. It may seem intimidating to try and incorporate a cleaner way of eating into your busy lifestyle, but if you stick to some basic principles, you’ll reap the many health benefits that coincide with this lifestyle. Eat whole foods: Whole foods are foods that haven’t been manufactured in a lab or food processing plant. Focus on eating mainly foods are straight from the producer like fruits and vegetables, whole grains, grass-fed and free-range meats, low fat dairy products, unsalted nuts, and seeds. Avoid processed foods: Processed foods are any food that has a label. A label means that more than one ingredient was used to make that food. You don’t have to eliminate all processed but if you can’t pronounce or recognize an ingredient on a label, don’t eat it! Cook your own meals. Instead of buying meals in a box, cook meals from scratch. That’s not as hard as it sounds! Clean, whole foods need little preparation beyond chopping to make satisfying meals. You can also stay a step ahead by preparing meals for the week saving you time and energy in the middle of the work week. Eat balanced meals. When you do snack or eat a meal, make sure that meal is balanced. For the most satisfaction from your diet, and so you’ll be less tempted to eat junk food, combine protein with carbs or carbs and fat. Protein helps fuel your body and keep you satisfied longer reducing your urge to snack on less healthy, processed foods. Posted on April 4, 2017 by RiverRidge Chiropractic, P.A. Like going to the dentist to check for cavities, an early chiropractic exam at RiverRidge Chiropractic can pick up (or detect) future problems. A normal posture would be level head, shoulders, and hips. The head should sit over the shoulders (front and side), the scapula or “wing bones” should be flat and level and the feet should point out straight. If we find any of these to be abnormal (or if we find any variances), this is an early indicator that your child has already had a fall or small tumble that has strained the spine. The way the body adapts to this minor trauma (or strain) is to shift the posture. There are also may be silent warning signals that this is affecting your child’s nervous system. The six signals are difficulty sleeping, poor posture, weak immune system, behavioral problems, respiratory or food allergies, and digestion and elimination problems. With gentle adjustments to the spine, chiropractors can identify and correct spinal stressors, allowing for proper functioning of the nervous system and, ultimately, optimal health! Call your Mankato Chiropractor today! Posted on February 21, 2017 by RiverRidge Chiropractic, P.A. Tired of taking aspirin for the pain in your head or neck? Whether you’ve exhausted medical methods or are just starting to look for a natural way to eliminate your headaches, contact RiverRidge Chiropractic today to find out how we can help. Posted on October 4, 2016 by RiverRidge Chiropractic, P.A. Avoid adding too much, too fast. Most running injuries occur because runners attempt too much too quickly, whether it is an increase in speed or mileage. Set attainable goals and include rest days to help the body recover. Stretch regularly after runs to increase flexibility and range of motion. Stretching can also help reduce soreness. Choose a pair of running shoes that is designed to work with your body’s mechanics. Each body has variables that affect stride, such as over- or under-pronation; choosing the right pair of running shoes for your particular stride will help you feel better and help your body better balance and absorb the stress from running. Visit a specialty running store where the associates can evaluate the wear on a current pair of running shoes and observe your stride on a treadmill to help you choose the most appropriate running shoes for your stride. Visit a chiropractor regularly. While our bodies can handle the shock of running when perfectly aligned, most of us do not experience good alignment due to the sedentary nature of our jobs and poor posture. In addition, other physiological conditions, such as flat feet, can cause an imbalance of stress in the body. With misalignment, over time, the shock of running can lead to pain and injury. As a chiropractor, Dr. Moldan can evaluate your posture, address misalignments that may lead to injury, and teach techniques and exercises to prevent injury. Try massage to help improve recovery and boost running performance. Massage loosens tight muscles and helps maintain flexibility, which is important in preventing injury. Are you already feeling pain or that something is “off” when you run? Chiropractic care can also help with the therapy for common running injuries. Dr. Moldan can evaluate any misalignments that are contributing to the underlying conditions. Initially, the focus will be on relieving the pain and preventing further injury. Next, Dr. Moldan will concentrate on correcting the issue, which may include prescribing exercises and therapies to build the affected areas of the body and train the body in proper functioning. Finally, regular visits and necessary alignments will help prevent new injuries and keep you on track with your goals. Most running injuries are preventable. Include regular chiropractic care into your running routine to help ensure a strong running career. At RiverRidge Chiropractic in Mankato, MN we are happy to answer any questions that you have. Contact our office today! 507-387-7463. We look forward to being a part of your health care team. Posted on August 30, 2016 by RiverRidge Chiropractic, P.A. 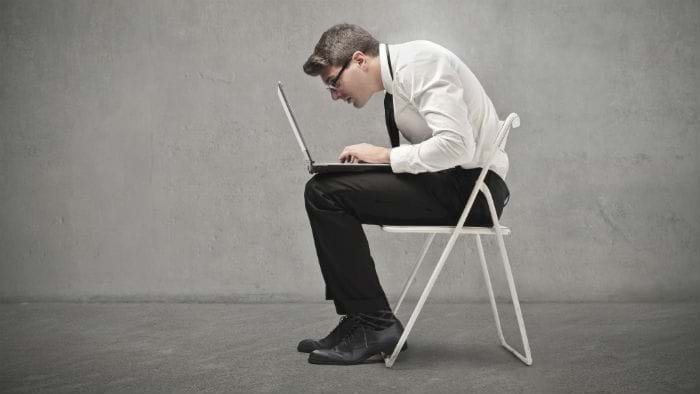 Everyone knows how poor posture can contribute to debilitating back pain, but not too many are aware of the adverse affects of poor posture on the critical organs including the heart, lungs and stomach. RiverRidge Chiropractic in Mankato stresses the importance of spinal health and maintaining a healthy posture even if you’re not in pain or suffering any obvious symptoms. Poor posture, which can be caused by something as obvious as a car accident to something as unnoticeable as poor sleeping habits will lead to spinal misalignment. Such misalignments can then be responsible for wreaking havoc on your body, in places you wouldn’t imagine. Similar to how a kink in a garden hose hinders the flow of water, affecting the amount of life saving nourishment your garden receives, spinal misalignments hinder the flow of critical nerve energy from the spinal cord to the body, affecting the health and function of the cardiovascular, respiratory and digestive systems among others. Most people with poor posture and spinal misalignments will begin to notice changes in their body and their health at some point or another. Physical changes such as slouching are obvious tell tale signs that there is something seriously wrong with the spine. For others, back pain, neck pain and headaches often manifest, signaling nerve flow interference due to some degree of spinal misalignment. Of course not everyone with poor posture or a misaligned spine will suffer from physical deformities or experience any noticeable pain or discomfort. Instead, they will notice health issues, which may seem completely unrelated to the spine. These symptoms include heart palpitations, high blood pressure, acid reflux, allergies and bouts with asthma – all rather serious health conditions that stem from diminished nerve flow to critical organs causing organ dysfunction. Poor lifestyle habits, accidents, falls or injuries are common, so instead of ignoring them, it is recommended to take a much more proactive role and seek the professional help of a chiropractor to ensure the spine is healthy and functioning optimally. A Chiropractor will help restore the spine back to proper alignment, promoting normal nerve flow energy to the entire body, including the heart, lungs and digestive system. RiverRidge Chiropractic can correct your posture, eliminate spinal misalignments and restore your health. To schedule a consultation visit RiverRidge Chiropractic or call 507-387-7463. Posted on July 28, 2016 by RiverRidge Chiropractic, P.A. No one ever plans to get injured, but injuries can happen at the spur of the moment, and without warning. It doesn’t matter if you’re an athlete, a schoolteacher, a retired grandparent or a young child, injuries are just part of life. Some of them are relatively minor and some are severe, but most need the proper treatment if you’re going to make a complete recovery. Injuries respond particularly well to Mankato Chiropractic Care, for a number of reasons. Wear and Tear Injuries – Injuries to the neck and back caused by everyday wear and tear are becoming more and more common as the population ages. Years of improper lifting, poor posture, stress and the force of gravity damage discs, strain muscles and alter the natural curve of your spine. RiverRidge Chiropractic, your Chiropractor in Mankato, is a great solution to keep your body moving well into your golden years. Posted on August 5, 2011 by RiverRidge Chiropractic, P.A. Most are still in the dark about the importance of having a chiropractic consultation and exam after a motor vehicle accident. Usually attention is only given to the obvious injuries. Commonly, one may wonder about the need of visiting a chiropractic doctor when they are already admitted in a hospital with so many doctors around. There are different types of doctors with different approaches and philosophies. Chiropractic doctors look for spinal misalignments and soft tissue inflammation. Hospital doctors look for internal bleeding and fractures. Any automobile accident causes bad reactions in the body, even with a slow or low impact crash. This can result in misalignment along your spine that eventually will lead to problems elsewhere, such as an organ or system malfunction. Remember, all parts of the body are connected and work in unison with each other. A problem in one part of the body will lead to other troubles elsewhere. In such scenarios, receiving chiropractic treatment is a good idea. A doctor of chiropractic is trained to find these misalignments and work to correct them naturally thru adjustments. If you are experiencing any symptoms, it might be an indicator that there is some kind of sprain or strain resulting in tears of soft tissues in the body. If vertebra moves out of its normal alignment, it can cause pressure in your head, neck, and back resulting in headaches, back and neck pain after the accident. Due to shock and the initial worries of the car’s damages, many auto accident victims do not experience symptoms until a few days after the accident. Sometimes damage is not detected until months or even years after an accident. Just like someone discovering they are dying from cancer or AIDS has actually been sick with the disease for a long time, they just didn’t know it until they had outward signs of health which unfortunately comes in the final stages. Absence of symptoms does not necessarily equal a clean bill of health! The cause always comes before the symptoms. Visiting a chiropractor for a chiropractic consultation is a wise choice when one is involved in an automobile accident. There is no reason that someone should live with chronic neck and back pain for years due to the result of an automobile accident. Chiropractic care is gentle, easy, and safe. It can relieve neck and back pain with non-surgical alternatives without the side-effects of drugs or surgery. Do not let the consequences of an automobile accident diminish the quality of your life. Visit your local Mankato chiropractor at RiverRidge Chiropractic right now for an evaluation. Posted on June 22, 2011 by RiverRidge Chiropractic, P.A.